Last year, one of my favourite opinion columnists, Charley Reese passed away. He had not written anything in a few years, having retired his syndicated column in 2008 after previously retiring from the Orlando Sentinel in 2001. While he was actively writing, however, it was his practice once a year, around New Year’s, to write a full disclosure column, outlining his beliefs and affiliations, so that his readers would understand where he was coming from in his thrice-weekly column. This is a practice that I consider admirable and have emulated it at Throne, Altar, Liberty, beginning with my 2011 New Year’s essay “Here I Stand”. It is now that time of year once again. I am a Christian. When I say that I am a Christian I do not merely mean that I am part of a country, culture, and civilization that is, or at least used to be, Christian, as opposed to Muslim, Buddhist, or Hindu. I mean, that I, a sinful member of the fallen race of man, believe that Jesus of Nazareth, was and is, the Christ, the divine Son of God, given by God the Father to our lost world, to atone for our sins through His death on the cross so that we may be forgiven, justified, reconciled to God, and share in His eternal resurrection life. When it comes to defining terms and placing things into categories, it has long been noted that people tend to err in one of two opposite ways; that of the “lumper” and that of the “splitter”. Lumpers tend to fit as many things into a single category as possible, no matter how significant the differences between them, while splitters tend to divide things into multiple categories on the basis of the mootest of distinctions. These same erring tendencies have plagued the Christian faith throughout its history. There have been those, like the leaders of the modern ecumenical movement, who have felt that even the most important of Christian truths must be sacrificed in the name of preserving or re-establishing the unity of the Christian Church. There have also been those, like the Cathari, the Radical Reformers and the English Dissenters who have insisted that they are the only ones who possess Christian truth and must withdraw from the rest of the Christian Church to maintain their purity. I have come to see schism as the Scylla and ecumenical compromise as the Charybdis both of which are perils to be avoided. After, undergoing a personal, evangelical, conversion experience when I was fifteen, I left the United Church of Canada when it started telling people not to believe the Biblical truths which Christians have always believed, was baptized in a Baptist church, and after many years of attending Baptist, Pentecostal, and “non-denominational” evangelical churches, joined an orthodox parish of the Anglican Church of Canada. I chose the parish because of its orthodoxy, and the Anglican Church because Anglicanism at its best, combines the best elements of both Protestantism and Catholicism. It is Protestant in that it affirms the supremacy of Scripture and the Pauline doctrine of justification in its confession, the Thirty-Nine Articles. It is Catholic in its organic and organizational continuity with the early, undivided, church through an unbroken line of apostolic succession, its episcopal hierarchy, its administration of the sacraments, and its liturgical worship. Believing that the central event in history was God’s coming down to earth, becoming a Man, dying for our sins and rising again, I have no difficulty with accepting that He gave us, through the pens of the prophets and Apostles, a set of authoritative writings, and so hold to the fundamentalist view that the Bible IS the Word of God rather than the neo-orthodox view that it merely contains the Word of God or becomes the Word of God when we experience God through reading it. I also hold to the Reformers’ view that the truths contained in the Bible are the standard by which the teachings and traditions of the church are to be judged. I refuse to identify this view with the phrase “Sola Scriptura”, however, because I reject the lunatic notion that the interpretation of the Bible is a personal and private matter that each believer is to decide for himself. This view is condemned by the Scriptures themselves (2 Pet. 1:20) which clearly teach that Christ did not come to establish merely personal, one-on-one, relationships between Himself and individual believers, but an organized community of faith, the church, in which believers would be joined to each other and to Him in organic unity as His body, and over which He appointed His Apostles as the first bishops (Gk. episkopoi, overseers) with the authority to teach, lead, and ordain others to join and succeed them in that ministry of leadership. The authority of the Scriptures, and the authority of the church and its leadership, both come from God. Although the difference between the two, is more a difference of kind than a difference of degree, the authority of Scriptures as the revealed Word of the God Who breathed them (Gk. theopneustos, 2 Tim. 3:16) is obviously higher than that of those authorized to teach and interpret. The Reformers were right to insist that the Scriptures are the higher authority, but those who use this truth to cut themselves off from the church’s long and rich tradition of Scriptural interpretation foolishly impoverish themselves. I am a Canadian. I was born and raised in rural Manitoba and live and work in Winnipeg the capital of Manitoba. I am a patriot, but the Canada I love is the historical and traditional old Canada, the Canada that emerged out of the Confederation of British North America in 1867. Canada was founded as a Dominion within the British Empire, now the British Commonwealth, with the same monarch but our own Parliament. The term “Dominion” was our own choice, and it did not denote colonial status, as the deceitful leaders of the Liberal Party later maintained, but was chosen from the Bible (Psalm 72:8) as a synonym for “kingdom”. Traditionally, Canada has always been pluralist, consisting of English Canadians, French Canadiens with their own language and culture, and Indians with whom the Crown had made treaties. This traditional pluralism was very different from the “multiculturalism” that the Liberal Party shoved down our throats in the late part of the twentieth century. Traditional Canadian pluralism was an element of Canadian reality, whereas multiculturalism is a doctrine in which the non-British ethnic origins of many Canadians is used as a justification for waging war on the national traditions and institutions that Canada inherited, adopted, and adapted from Great Britain. 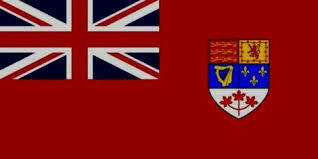 I love those traditions and institutions and am proud of my country’s Loyalist history and roots. When I call myself a Tory, I too am referring to my political views rather than party affiliation, but foremost among those views is the firm conviction that there is no such thing as political salvation, much less an ideological formula that can bring it about. I believe firmly in the doctrine of Original Sin in its fullest theological and political sense. I believe that man is a fallen creature, that the source of the suffering and evil that afflict man lies in the depravity of human nature, that this depravity is the result of our own twisting and corrupting something that was itself good, i.e., the Free Will our Creator gave us, that God has graciously made salvation from sin and depravity available to man in the Incarnation, Death and Resurrection of Jesus Christ, but that the fullest experience of this salvation can only be found in the Kingdom of God that transcends the spacial and temporal boundaries of the world in which we live, and the attempt to create that salvation here on earth through political means is a blasphemous attempt to retake Paradise by force, or in Eric Voegelin’s words, to “immanentize the eschaton”, and that such attempts are doomed to failure and invite divine judgement. I agree with small-c conservatives and libertarians that a market system in which people make their own choices and their own agreements with other people as to what they will buy and sell and at what price is a superior set of arrangements to any alternative in which the government sticks its big, bloody, nose into everybody’s business. There is a difference, however, between saying that the market is a better system to its alternatives, and saying that market capitalism is the path to national salvation and that global free trade will bring universal peace and prosperity, and as a Tory I reject the fantasy of salvation through market capitalism and free trade whether preached by British liberals like David Ricardo and Richard Cobden in the early nineteenth century or by American neo-conservatives like Francis Fukuyama in the present. If market capitalism and free trade are not the means of salvation, neither is socialism in any of its various forms. Just as in many evangelical circles it is assumed that a person who is not a Calvinist must therefore be an Arminian (and vice versa), (1) so it has been assumed in the large Western world since at least the end of World War II that anyone who is not a capitalist must be a socialist (and vice versa). Both assumptions are examples of the logical fallacy of the false dilemma in which the number of options are artificially reduced to two. If capitalism, as some conservatives whom I highly respect (2) have pointed out, is a dynamic force that dissolves the things Tories or conservatives cherish – tradition, local communities, order – socialism is no better. A person can believe in private property and enterprise without seeing them as being the way of salvation but this is not so of socialism. Socialism is by its very nature a doctrine of political salvation. It falsely places the blame for evil and suffering on the private ownership of property and promises political solutions to evil and suffering, identifying its demands with those of justice itself. If liberal capitalism dissolves the things conservatives cherish, socialism had declared outright war on them. I therefore regard socialism as being utterly and irredeemably repugnant. I do not wish to give the impression that the political views I call Tory are entirely negative. If, as a Tory, I do not believe in schemes of political salvation or Utopias, what do I believe in? I believe that men were created by God as social beings and not as isolated individuals. The basic form of social organization is the family. Families form communities in which to live and cooperate together, and larger societies are organized out of many communities. I believe, therefore, that the right metaphor to use in thinking about social organization is that of a living organism and not that of the business partnership. Societies are built out of communities, and communities out of families, and families are not voluntary associations formed by contracts made between autonomous individuals, but organic wholes into which people are born.. The contemporary view of the family as something formed by a contract between two individuals, consisting essentially of those two individuals and their children, and only including other relatives as detachable extensions, is wrong. The family is a multigenerational kin group in which generations past and those yet to be born are joined with the present to form an organic whole. (3) It is the community and the society that are properly regarded as the extensions of the family and they too are organic wholes. Believing man to be a social creature by nature and the body of a living organism to be the best metaphor by which to understand the organic wholes that are the family, community, and society, I therefore believe in race, culture, tradition, prescription, and prejudice. By race I do not mean “a group of people who share common physical traits such as skin colour” but rather the idea of biological descent through generational succession which is a fundamental element of all human social groups, from the family, up through the nation, to the species itself. By culture I refer to the output of the human mind and creative spirit, from the laws and customs by which we regulate our lives to the languages and literature in which we express our thoughts to the art which we create in pursuit of beauty. Culture can be the expression of a particular people living in a particular place and time or it can be an attempt to reach for that which has been universally sought by all people in all places and times such as the Good, the True, and the Beautiful. Both of these forms of culture are important and I agree with T. S. Eliot (5) that they ought to exist in mutual interdependence rather than conflict. When culture is passed on from one generation to another it becomes tradition which is also the name for the process of passing on culture and accumulated human wisdom and knowledge down through the generations. In recent centuries and especially the last century tradition has received a bad name. The idea has formed, undoubtedly due to a misreading of Jesus’ encounters with the Pharisees brought upon by the deplorable heresy of the private interpretation of Scripture, that tradition is cold, rigid, inflexible and dead, something that binds us in chains from which we need to be liberated. This idea is blithering nonsense. Tradition is a warm, living, thing, the very lifeblood of the organic family and community, and like all living things is flexible and adaptable. The internal self-correcting mechanisms of the free market economy and the democratic assembly pale in comparison to that of tradition, the ability of which, to separate the wheat and the gold of human ideas and customs from the chaff and the dross through the tests of time, is without parallel. I fully agree with Michael Oakeshott that it is the rationalist ideologies which those who slander tradition as “the dead hand of the past” would substitute for it, that are truly rigid and inflexible. (6) Not coincidentally, these are usually the same thing as the schemes of political salvation, that the Tory rejects wholesale. It is through race, culture, and tradition that past generations are joined with present and future generations to make the organic wholes of family, community, society and nation. Prescription, is the authority and legitimacy that customs and institutions derive from long-established usage. It does not mean that a custom or institution that is bad ought to be maintained out of respect for its age. It means that customs or institutions, that have existed, as Edmund Burke (7) put it “from time out of mind”, that have endured and weathered the tests of time, on that basis, do not need rational justification to validate their existence, that the burden of proof and rational justification rests squarely upon those who demand that these customs or institutions, be altered or abolished. Prime Minister Stephen Harper should think long and hard about that if he is considering supporting the NDP’s disgraceful, dishonourable, and despicable scheme to dismember our constitution by abolishing the Senate. When I say I believe in prejudice I mean prejudice in the way Burke used the term. In Burke’s usage prejudice is man’s capacity to draw upon the accumulated, collective, wisdom belonging to his nation and to mankind as a whole, and to find in this wisdom the resources necessary to make judgements in situations where the time or information necessary to make a fully thought out rational decision is not available. By saying that I believe in prejudice I am also saying that I do not believe in the infallibility of human reason or even that it is always the best possible guide. I certainly do not believe that human reason contains the capacity to overcome all of the ills, evils, weaknesses, and suffering that afflict man. That brings us right back to the first and most basic Tory belief that there is no rational formula that can bring about salvation through political means. I agree with the ancient philosophers that the three basic possible constitutions of government – the rule of the one, the rule of the few, and the rule of the many – each have their own strengths and weaknesses, and have existed in both positive and negative forms. Aristotle speculated that the best possible constitution would be one that combined the three simple forms in such a way that the strengths of each would negate the weaknesses of the others. While I agree with Aristotle, I add that even the mixed constitution is not a formula for political salvation and should not be treated as such. The ancient Greek historian Polybius believed that this constitution had materialized in the Roman Republic, but I would say that the most obvious embodiment of Aristotle’s mixed constitution is the constitution of parliamentary monarchy that evolved in Great Britain in which the government consists of the reigning king or queen, an aristocratic upper house and a democratic lower house. The fact that this form of government evolved over centuries adds to its strength because it has the weight of prescription behind it. We share this constitution with the United Kingdom, here in Canada, even if it would be rather farcical to describe our upper house as “aristocratic”, and because of the circumstances of our founding, that we developed into a country within the British Empire, it has the weight of the prescription of the older tradition behind it here too. I think that we are very fortunate in this. I am a dyed-in-the-wool royalist. While I have been an instinctual supporter of the institution of monarchy, the British/Canadian monarchy in particular and the royal family, for as long as I can remember, as I have grown older my royalism has become a reasoned belief as well. If, as argued in the last paragraph, Aristotle’s mixed constitution is the best possible form of government, especially where it has evolved naturally through time rather than put together artificially by design, then that is exactly what we have in the parliamentary monarchy in the United Kingdom and Canada and the monarchy is an essential element of that. Furthermore, history demonstrates the need for a monarchy. When a country abolishes its king or queen it creates a vacuum for a tyrant to exploit. When the Roman nobles drove out their last king, villain though he was, the Roman Republic had to constantly fill the vacuum created with temporary dictators until eventually the Caesars rose to fill it permanently. When the monarchy was temporarily abolished in Britain in the seventeenth century, the evil Puritan despot Oliver Cromwell ruled with an iron fist. When the House of Bourbon was overthrown, late eighteenth century France degenerated into the chaos and tyranny of the Reign of Terror paving the way for the rise of would-be world conqueror Napoleon Bonaparte. When the imperial throne of the Russian Tsar was overthrown by revolutionaries in 1917 the Bolsheviks established one of the most evil regimes of all time, the Soviet Union. When the victorious Allies forced the Austrian and German emperors from their thrones after World War I this created the vacuum that Adolf Hitler was able to exploit, to rise to power and create the Third Reich. As the greatest twentieth century leader of the Tory Party put it “This war would never have come unless, under American and modernising pressure, we had driven the Habsburgs out of Austria and the Hohenzollerns out of Germany. By making these vacuums we gave the opening for the Hitlerite monster to crawl out of its sewer on to the vacant thrones.” (8) In these historical examples, we begin to see what the Austrian emperor meant when, in his reply to Theodore Roosevelt’s question about what the role of a monarch in the present day and age was, he said “to protect my nations from their governments.” (9) One more argument for monarchy is indicated by the words of Stephen Leacock who, commenting on how in our parliamentary system we have the best of both worlds because we have joined “the dignity of Kingship with the power of democracy” (10) A royal monarch, whose position is inherited and whose sovereign authority is derived from ancient prescription, can rise above the pettiness of everyday politics, and add a sorely needed touch of class to government, which otherwise would be constantly dragged down into the gutter by lowlife elected politicians and bureaucrats. I do not believe in the liberal idea of the separation of church and state. Neither do I accept the contemporary progressive idea that the state should force the church to change its ancient customs, ways, and beliefs to conform to whatever bizarre new fad progressives have dreamed up and added to their canon of human rights. Nor do I hold to the Puritan and theonomist view that the state’s role is to enforce the Old Testament law. Although these ideas are very different from each other, they are all alike in that they are departures from the medieval synthesis, in which the church and the civil authority were distinct rather than separate, each with its own specific role delegated to it by God. The church was the earthly manifestation of the transcendent Kingdom of God, the body of Christ in which the Incarnation was continued, authorized to preach the Gospel, teach the Word, and administer the sacraments. The civil authority was authorized by God to punish evil as St. Paul wrote in Romans 13, but this does not mean all forms of sin but “only the more grievous vices, from which it is possible for the majority to abstain; and chiefly those that are to the hurt of others, without the prohibition of which human society could not be maintained.” (11) I accept the medieval synthesis of Christendom, over any of the ways in which modern Western civilization, Christian or secular, has found to depart from it. You may have observed a certain similarity between the quotation from St. Thomas Aquinas in the previous paragraph and the famous “harm principle” of nineteenth century English liberal John Stuart Mill. Neither I, nor any other Tory that I am aware of, believes that everything in classical English liberalism is bad, on the contrary we believe that much of it is good. As Dr. Johnson, the Tory of Tories, said “A wise Tory and a wise Whig, I believe, will agree. Their principles are the same, though their modes of thinking are different.” As I see it, the most admirable concepts that we usually associate with the classical English liberalism of the Victorian era, such as legal and constitutional protections of basic rights and freedoms, all have deep pre-modern roots. This does not mean that they were perfectly established and practiced before the Modern Age any more than they are perfectly established and practiced now, but it does mean that they cannot be legitimately regarded, as liberals and progressives wish to regard them, as the products of rational speculation in the Modern Age. I say this to indicate what I see as the criteria of demarcation between the elements of liberalism that I or any Tory would regard as admirable and the elements that are unacceptable. The elements that are admirable have classical and/or medieval Christian precedents and roots. The element is most objectionable is that which liberalism shares with all other forms of progressive thought, once again the idea that human reason is capable of devising a formula for eliminating the evils that afflict mankind and therefore accomplishing salvation through political means. This idea, corrupts even liberalism’s best ideas, because an idea that may be admirable in itself can become deplorable as an element of a formula for political salvation. This is because formulas for political salvation demand universal application and the universal application of something that is otherwise good can often be harmful of other goods. The Modern Age is not the only age in which men have been tempted by schemes of political salvation. As the late Thomas Molnar put it utopia is the perennial heresy. It is the Modern Age, however, that has made the idea of manmade political salvation its defining characteristic. As the defining characteristic of the Modern Age, the idea of manmade political salvation is known as progress. The idea of progress is a heresy, a Christian truth that has been so corrupted as to make it the enemy of all Christian truth. In this case, the Christian truth that has been corrupted is the doctrine that God’s intervention into the temporal affairs of man, especially in the salvific events of the Incarnation, Life, Death, and Resurrection of Jesus Christ, is directed towards the end, of the full manifestation of the Kingdom of God, when history ends, time dissolves into eternity, and Heaven and earth become one. Corrupted by rationalism, this becomes the Modern idea of Progress, that history, guided by human reason, is moving towards a future state in which mankind through reason and science will have eliminated all evil and suffering. There are two basic forms of the idea of Progress, technological progress and social progress, and while many who call themselves conservatives today accept the former, I as a Tory reject both. This makes me, what progressives derogatorily call a reactionary, a term that I, like Hungarian-born American historian John Lukacs, gladly accept as a badge of honour. Technological progress, is the idea that modern science, by providing man with complete mastery over his own nature and that of the world in which he lives, will enable man to rationally devise tools and techniques to solve whatever problems come his way and so eliminate all that ails him. I would say that this arrogance is the very epitome of what the Greeks called hybris and that it is leading modern man precisely to where hybris always led the Greek tragic hero – a huge fall. Social progress, is the idea that by making our government institutions more democratic and eliminating social, economic and political inequality, man can create a just society in which the root causes of conflict, crime, suffering and injustice are eliminated. I say that this is a ridiculous idea for a number of reasons. Likewise, equality of any sort cannot be achieved without treating most people unjustly. This is because equality is not the same thing as justice, and in fact, is a form of injustice, and a particularly pernicious one because it so effectively masquerades as justice. Think of it this way. Equality presents itself as the idea that you ought to treat a perfect stranger as if he were your brother. Presented that way, it sounds appealing, does it not, almost as if it captured the very teaching of the Parable of the Good Samaritan? The reality of equality, however, which hides behind that mask, is the demand that you treat your brother as if he were a perfect stranger. Sane civilizations have seen behind the mask of equality, and warned about it ever since the myth of Procrustes in ancient Greece. The ultimate problem with the idea of social progress is that is a denial of the basic human reality which is Original Sin. Man’s afflictions are not born out of social, political, or economic inequality or out of other-than-democratic elements of government. They come from a flaw in human nature that no amount of democratization or egalitarianism can ever eliminate, although it can and will exacerbate it. An argument often made for the idea of social progress is that it must be true because of the good accomplished by the social reform movements it has spawned, examples including the abolition of slavery movement, the feminist movement, the anti-colonial and anti-imperial movements, the American Civil Rights Movement, the anti-apartheid movement, and the Gay Liberation Movement. Frankly, I find this argument to be ridiculous. It is self-contradictory – the good of the abolition of slavery was undone by the anti-colonial/anti-imperial movements for as soon as the colonial powers that had abolished slavery withdrew it was restarted. Most of these movements were not near as good as they are made out to be. Among the proud accomplishments of the feminist movement are no-fault divorce, a massive rise in the number of children being raised without their father, and the legally protected “right” of women to decide whether their children live or die. Feminism clearly deserves to be classified as an evil rather than a good movement. The anti-colonial movement basically transferred power from competent imperial governments to incompetent kleptocrats who ran their countries into the ground and are now blaming European imperialism and colonialism for the evils that were actually caused by ending colonialism. The American Civil Rights Movement opposed the injustice of de jure racial segregation only to replace it with the injustices of de jure racial integration and anti-discrimination legislation, both of which undermine the freedom of association. The anti-apartheid movement also opposed an injustice but its triumph has led to the breakdown of law and order in South Africa, the collapse of its economy, and the savage murders of Afrikaner farmers that can only be described as genocide in the making. In abolishing the foolish laws under which Oscar Wilde was prosecuted and ruined in the nineteenth century, the Gay Liberation Movement accomplished good, but that good has been far overshadowed by the evil accomplished as the movement went beyond demanding the legal freedom for homosexuals to live as they choose to demanding that everybody else be forced not merely to tolerate but to accept them. The pride progressives take in these highly dubious accomplishments is yet another example of hybris displayed by believers in technological progress and will lead only to the same end. The near ubiquitous acceptance of the idea of progress in one or the other of these forms throughout Western Civilization suggests that we are due for a major fall and brings to mind Oswald Spengler’s declaration of almost a century ago that Euro-American civilization had entered into its twilight. I do not wish for this to be the case but I also remember Hegel’s remark that “The owl of Minerva spreads its wings only with the falling of the dusk”, i.e., that when wisdom can see the imminent collapse of civilization, it is already too late to prevent it. The only hope that remains to us is the intervention of divine grace. But then divine grace is the only true hope that we have ever had. That is precisely the problem with the idea of progress and all schemes of political salvation – they are attempts to circumvent the grace of God and achieve salvation through human effort. Thankfully, and I will end on this note, I believe that divine grace is always available to us, if we are willing to find it, in Christ. (1) Calvinism and Arminianism, far from exhausting the options available to Christians, do not even exhaust the options available to Protestants. Lutherans, for example, are neither Calvinist nor Arminian. (2) Examples include Canadian philosopher George Grant and British journalist Sir Peregrine Worsthorne. (3) This is the reason why the contemporary view of marriage as a contract entered into by two individuals for their mutual benefit and which can be dissolved by either partner at any time without cost is so horrendously wrong. Marriage is the joining, not just of two individuals, but of two families, it confers blessings upon the couple joined in marriage but it also imposes duties and demands sacrifices, and it is properly an indissoluble covenant rather than a contract. (5) In Notes Towards the Definition of Culture. (6) In “Rationalism and Politics”. (7) Edmund Burke was an eighteenth century British statesman. As a Whig, he supported the American colonists in Parliament in the period of the American Revolution, but later, finding the violence and chaos of the French Revolution to be repugnant, wrote a famous treatise in which he defended Britain’s prescriptive constitution of church and state against abstract speculators and rationalists and their “armed doctrines” such as the social contract theory and the natural rights of man. If, as Irving Kristol famously said, a neo-conservative is “a liberal mugged by reality”, the Burke of the Reflections on the Revolution in France was a “neo-Tory”. (8) Sir Winston Churchill, April 8, 1945. (9) Quoted by Erik von Kuehnelt-Leddihn in Liberty or Equality: The Challenge of Our Time (Caldwell, Idaho: Caxton Publishers, 1952), p. 138. (10) Stephen Leacock, “Education and Empire Unity”, an address to the Empire Club of Canada on March 19th, 1907, later published as “Greater Canada: An Appeal” in University Magazine and The Social Criticism of Stephen Leacock. (11) St. Thomas Aquinas, Summa Theologica, I-II, Q. 96, A. 2. co.
What a beautiful description of tradition! This is definitely the best essay I have read online in a long time and I wonder if it is your best yearly declaration. Reading it has been sort of like having the lenses of my glasses wiped clean (I don't wear glasses though). Thank you for this foundational description. You have touched upon several important truths that need to be trumpeted throughout our families and communities. Amen and God bless. You're welcome, Mr. Parish, and thank you.